Parliamentarians of the commission made clear from the beginning on: The trust in the german security apparatus was broken. In that way the result of the commission was preprogrammed: „There is no evidence at all“, that the apparatus tolerated the trio or even actively supported them (tagesschau). A german was employed at the Defense Intelligence Agency „DIA“, in the 66. Military Intelligence in Hanau. The whistleblower said, that he was listening to a conversation between two leading agents: Mister „T. R.“ and „T. H.“. They spoke about the deadly assault against two policemen in Heilbronn on 25 April 2007, which resulted in the death of Michele Kiesewetter. The aim of the observation should have been Mevlüt Kar (He is an alleged CIA-informer). In that time Kar was involved in the creation and arming of the islamic terrorist-cell „Sauerland-Gruppe“ in Germany. In spite of an arrest warrant of Interpol and the german demand for his extradition, Kar should be living in Turkey. The whistleblower was not even invited and not interviewed by the commission – on contrary he was attacked by the media. The german journalist Hans Leyendecker from the newspaper „Süddeutsche Zeitung“ wrote a hit-piece, that the man would have had a bad reputation in the apparatus and even could have forged an intelligence document. The whistleblower distanced himself from this document, (taz) its source is still dubious. Already 2010 the magazine „stern“ connected Mevlüt Kar to the attack on the policemen. 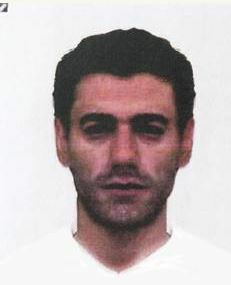 The „stern“ reported, that after the attack two arabs were encountered at the crime scene and were interrogated (stern). One should have had the contactman of Kar (heise). 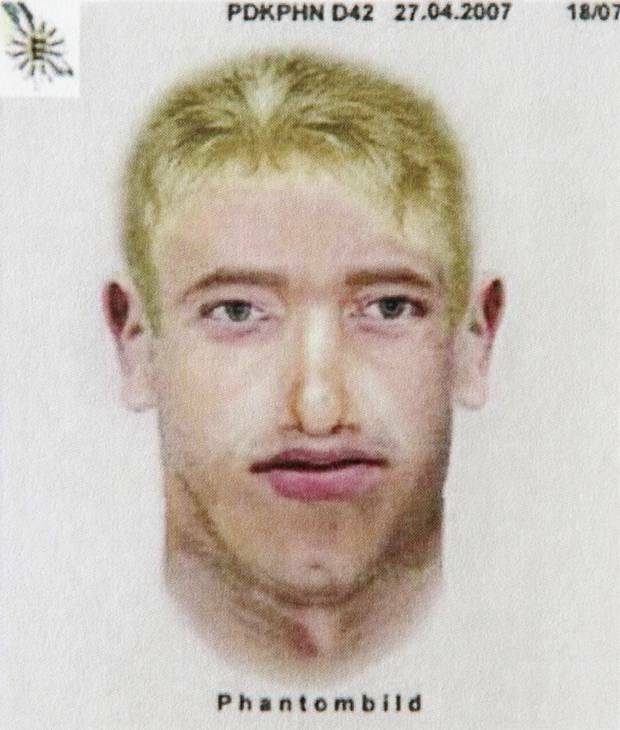 Here is a identikit picture of the attacker, who should shot at the colleague of Kiesewetter. It bases on the description of the survived policeman Mister Arnold. Furthermore the commission believed and overtook incredible reassurements of the apparatus. For example the leader of the commission Sebastian Edaty (SPD) said, that the enormous shredding of documents from the „Verfassungsschutz“ was probable done due to „institutional foolishness“ (tagesschau). The shredding-campaign started on 11th of November 2011 and ended in July 2012, hundreds of files were destroyed, although many files had connections to the trio. The chief of the Verfassungsschutz Erich Fromm resigned in June 2012, because the campaign happened without his approval. He said, that he was deceived by his own staff. The commission never questioned, whether the trio really had the officially described „master-role“ in the attacks. The three people could also be scapegoats, patsies. The police found DNA in crime scenes – but not a single sample matched to Mundlos, Böhnhardt and Zschäpe! (Friedensblick) Not even one fingerprint of them was found anywhere! One exception is a jogging trousers with blood of Michele Kiesewetter on it. It was found in their burnt appartment. Inside the trousers was a used tissue of Uwe Mundlos. As with other found materials – the important question remains: How did the incriminatory material end up inside their apartment and caravan? In spite of all criticism – it must be said, that the commission was able to dig out some interesting information. It became clear, that the trio lived secretly, integrated in a secret extreme right wing network, which was infiltrated by the secret services. Some suspicious „operatives“ are presented here. In 1998 „Piato“ received a SMS, where he was asked „What is with the bums?“ („Was ist mit den Bums?“). It is unclear, what „Bums“ mean, but experts conclude weapons, bombs. 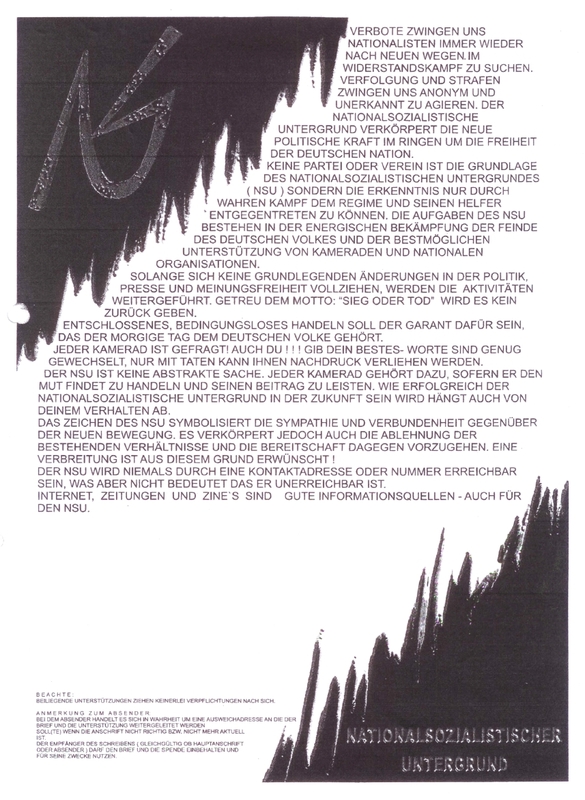 In the burnt apartment of the trio was found a flyer, the so-called „manifest“ of the NSU. There is no „confession“ to the alleged NSU-terror campaign, too. Nevertheless it speaks about the „fight against the enemies of the german people“, without giving any clues, what this means exactly (lichtstadt). It is still unclear, who produced the so-called „NSU-confession-DVD“, which was distributed in the beginning/middle of November 2011. A judge of the „Federal High Court of Justice“ (Bundesgerichtshof) came to the conclusion, that the trio would not have been able to work out the movie-sequences (BGH). „Piato“ is in a witness protection program. He is in the witness protection program. So after month the commission was finally told, that Starke had been an informant from the end of year 2000 until 2011. Nevertheless there is an official document from 2001, which states, that „VP 562“ was already a „longtime“ informant in 2001! The „bomb-workshop“ was in a garage, which belonged a policeman. Beate Zschäpe should have rented it from him. By a police search the workshop was found early in the year 1998. Strangely no DNA or fingerprints of the trio could be found inside the garage, the only hints were their cigarette butts. Nevertheless the trio was „on the run“ from this day on. They even stayed in the underground, when the arrest warrants fell under the statute of limitations several years ago. The representative of the bereaved, Barbara John, declared, that the parliamentary investigation failed (nsu-watch). Central questions remain unanswered as the reason for the shredding-campaign or the dimension of the network behind the three. In contrast to that stands the opinion of commissioner Dr. Eva Högl: Out of respect for the families the case may not be made to a „never ending story“ (heise).